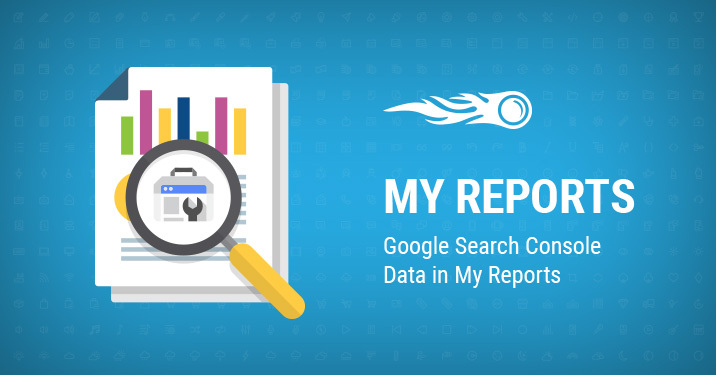 SEMrush’s very own My Reports service is developing constantly as we keep adding new data sources so that you can create perfect analytical reports. And the new source we’ve recently added is a really special one. It’s been a long time coming, and finally you’re able to add to your reports the widgets providing data from Google Search Console – an indispensable tool for marketers. Let’s see how it works. Now your clients will be completely satisfied: all valuable data on your site search performance in the past 90 days is available in your reports. You can find this new feature in our Report builder. 1. Overview provides you with such data as Total clicks, Total impressions, Average CTR, Average positions. 2. Data by Category provides you with the abovementioned metrics, with the possibility of showing data by categories: queries, pages, countries, devices. 3. Metrics Chart shows you a handy chart where you can monitor the dynamics of changes in the abovementioned metrics in the past 90 days. Moreover, you can use special filters to narrow down your tracking to a precise keyword. So what do you think of this new feature? We will keep adding other useful widgets to the Reports Builder, so let us know which ones you would like to see at [email protected], and stay tuned!